Today, I’d like to share my experience serving in the Maryland Army National Guard from 2005 to 2011. I joined the Maryland Army National Guard in 2005, after spending almost two years in the Individual Ready Reserve. Prior to that, I spent just over three years as an Active Duty Army Officer. After being a civilian (in the IRR) for almost two years, I was having trouble adjusting to civilian life. I just didn’t enjoy it. A part of me was missing. Maybe you can understand that, maybe not. After visiting with the state’s officer recruiter, I completed all of the paperwork in May 2005 and swore in as a First Lieutenant in the Maryland Army National Guard. During my six years in the MDARNG, these are the jobs I had. In my first job I was assigned to the 729th Forward Support Battalion. That was an amazing unit! The soldiers were professional, friendly, competent and like a family to me. I started out as the Company XO/Shop Officer in the Maintenance Company in Hagerstown, Maryland. During that time, I spent a lot of time on ADOS and got to know some of the key military personnel in the state. I spent about a year in that unit, before I got promoted to Captain and transitioned to Division Headquarters at Fort Belvoir, Virginia, in preparation of our Kosovo deployment. For the KFOR8 Deployment I started working at Fort Belvoir, Virginia for a few months on ADOS, preparing for the deployment. I thought the commute was going to kill me! I served as the G4 Plans Officer. I helped our unit deploy to Indiana, then Germany and then Kosovo. I really hated the job (to be honest with you), but looking back, it was a good learning experience for me. Once we arrived in Kosovo, I moved to the SSA Accountable Officer Position (Warehouse Manager) since we had a vacant Warrant Officer slot. I enjoyed that job and worked with great people, which were mostly contractors and HCN Civilians. Once the new Warrant Officer finally arrived, I moved to the Bulk Fuels Accountable Officer position. That was a great job, too. 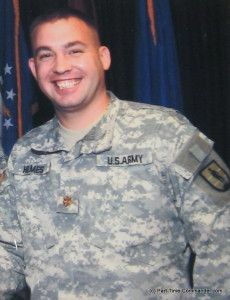 I finished the deployment and returned home in November 2007. I got married the day after I returned home, so that was exciting. Looking back, 2007 was one of the best years of my life. Even though I was away from my fiancee, now my wife, I got to spend a whole year thinking about what I did, and didn’t want, in my life. It gave me clarity and purpose. As soon as I returned home, I started looking for Company Command positions. I had my mind on getting command of the Maintenance Company, I had been the Company XO for, but it wasn’t meant to be. Our state was going through a transformation at the time, so I ended up applying for E Company, 729th BSB, which eventually became F Company, 128th Brigade Support Battalion. I spent two years in Company Command and absolutely loved it. I poured my heart and soul into command and burned the candle at both ends for two years. I was fortunate to have an awesome 1SG and Command Team. You could not have asked for better, more qualified or more loyal AGR Staff. My officers and NCOs were great. My soldiers were hard working and good folks too. Looking back, my command time was the highlight of my Maryland Army National Guard experience, and also the highlight of my military career. Toward the end of my command time I was burnt out and thinking about leaving the military again, this time permanently. As I was contemplating the decision, I was offered a $20,000 bonus to continue my service for another three years, so I stayed. Immediately after finishing my command time, I was fortunate to find a vacancy position in the 70th Regiment (Leader). They had a vacant Regimental S4 position for an O-4. I was almost eligible for O-4, so I applied for the position and got it. That helped me make Major at minimum time in grade. I spent a little over a year with the Regiment and worked as the Regimental S4 first, and then as the Regimental S3 Officer. After spending a year in the 70th Regiment, I resigned my commission, and went back in the IRR. I resigned from the IRR in 2012. Truth be told, I didn’t really enjoy being a staff officer or Field Grade Officer. I would have been much happier staying at the small unit level. Most people thought I was crazy to walk away with 15+ years in the military. To be quite frank with you, I was simply burnt out and my heart was no longer in it. I was trying to run two businesses, keep my marriage together, and perform my military duties. There just wasn’t enough time in the day to do all of these things, and do them well. I put a lot of thought into the decision and decided my only course of action was to resign. In April 2011, I resigned my commission and was transferred to the IRR. About a year later I resigned my commission completely. Of course, there are many other great NCOs that I did not mention here. Looking back, I have tons of great memories from my experience in the Maryland Army National Guard, and I have absolutely no regrets about resigning my commission. I truly believe the Army National Guard offers tremendous opportunities for someone who is self-motivated, hard-working, and wants to better themselves! If you are sitting on the ropes and thinking about joining the Maryland Army National Guard, you should definitely explore your options. There are lots of opportunities for career advancement, to learn new skills, to deploy, and better yourself. Best of all, you can serve your state and nation at the same time. I think it’s the best of both worlds. If you have served in the Maryland Army National Guard before, I would love to hear about your experience. Leave a comment below to share your story. If you have any questions, you can post them here too. Thanks. You can learn more about the MDARNG, by visiting their official website here. I will always have a soft spot for the MDARNG, because of the fact that I did phase 1 of OCS at Camp Fretterd! Land Nav training at “Woodmonster” will haunt me the rest of my days. Love your story. You accomplished much such as being promoted to Major minimum time in grade. Have you listened to the story of A French interpreter and intelligence collector for the Army National Guard, Sergeant Madeline Ishmael? She learned French because of the Army National Guard and then she was eligible to get this particular job. She didn’t have such opportunities from the small U.S. town she was from. Money is good but in order to have a chance to run in life, education and experience rule. Great points, Suzanne. And thanks for the comment. Yes, I am very proud of my accomplishments in the Maryland Army National Guard. No, I have not heard of Sergeant Madeline Ishmael. I will have to check her out. Thanks for the comment. Thank you for your service, Chuck. I think you touched upon a lot of great benefits with serving throughout this blog: the camaraderie, the educational opportunities, the pension, the health benefits, etc. I also think this particular post hits home the rigors of serving. Those of us who have not served and are not part of a military family will never fully understand your sacrifices. For those who are burned out, I think it is a good idea to step away. You more than earned that right. Thanks for the comment, Neil. It was a great run, but I’m happy with the new chapter in my life. Thanks, Chuck. I appreciate your feedback. I was really impressed by your story. 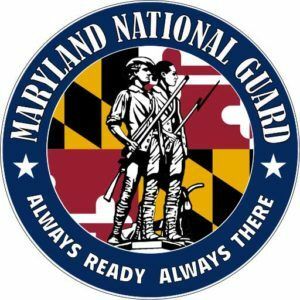 I have been looking into the possibility of Basic Branch Direct Commission in the Maryland National Guard (Acquisition Branch), and would like to know if anyone here have any information or contact that might be of help. While doing my homework, I came across MILPER message 10-284 (which expired on 31 DEC 2011), and was wondering if a similar program currently exists. I am 40 years old. I ETS out of the Army in 2006 as E-5 after 4 years of active duty (MOS: 91J – Medical Logistics Specialist). I am currently level 2 contracting certified with 6 years experience in the contracting field (1 as contractor, and 5 as federal employee). I am two classes away from my level 3 certification, one of which is scheduled for MAR 2013. I completed all coursework for my Doctorate in Business Administration with specialization in Contracts and Assistance Agreements Management, and my qualifying paper has been approved; I am currently in the dissertation phase. Thank you in advance for your precious time. I am unfamiliar with that MILPER message. The best thing you can do is contact an Officer Recruiter and find out about any programs you might qualify for. They will be “in the loop” about any rules/programs that will apply to you. All the best. Thanks for taking the time to share your personal story. It sounds like learned a lot and were able to advance your career as a result. Congrats on all of your awards, as well. I’m sure they are well deserved! I did enjoy my Army National Guard experience. It helped me become a better leader, businessman, and husband. All of our past experiences help make us who we are today! That’s quite an amazing journey you’ve outlined. Thank you so much for your sevice, and also a big thanks to Rachel for being there for you. It looks like you have quite a great support system there. My wife is great. I wouldn’t have made it without her. Having been with you for seven years now, I have been lucky to watch this progression. The Command position was the most influential of the ones I witnessed even though I did not see you very much during that time or during deployment. It was crazy times babe, but I couldn’t have made it without you. All successful people have a successful and supporting spouse. I am definitely one of those people. Thanks for everything you do for me.